Since fall has been upon us for a while and I've recently done a touch-up, it's high time for another Hair Journey update! Sharing updates here on the blog and taking notes has really helped me keep up with my hair goals and needs. While some things have been the same since the last update due to pregnancy, I have seen a few changes as well. I really think that after using a cocktail of products and practices, I'm starting to learn what my hair likes, hates, and needs. This is one of the days I wore my hair out. 1. Obtain overall thickness, as opposed to length. 2. Grow back crown breakage. 5. Keep it simple- moisturize and seal. cleanse. deep condition. 1. Not using any direct heat at all. 2. Moisturize + seal and wear bonnet each night. 4. Massage scalp with Hair Trigger 2-3x weekly. 5. Apply JBCO to edges and ends nightly. 6. Use what I have- no purchasing of any new products. Exception: running out of staples. Prior to October 25, 2013, my last relaxer was on July 5, 2013. This time I stretched for 16 weeks, and boy was it tough! Just like with my last stretch, I kept my hair away for the most part. I moisturized with African Pride Olive Miracle Moisturizer and sealed with grapeseed oil nightly or every other night. I also continued to add a drop of JBCO to the ends of my hair every other night after moisturizing and sealing. With the ceramides from the grapeseed oil and the JBCO, my hair seems to be getting a little thicker! Unfortunately I didn't get around to trying new protective styles this stretch, either. After a failed bantu-knot attempt, I told myself trying something new now was so not worth it. I was always tired in my last semester of pregnancy, so I gave myself a bit of a break and kept my hair in a bun for the most part. I made sure not to wear my bun in the same position for too long, as I am trying to correct the breakage in my crown. And of course, as I have mentioned before, the Aloe Vera Mix is absolute love to new growth when the stretch starts to run long. The mix of aloe vera juice, vegetable glycerine, and rosewater made my new growth very soft and a breeze to manage for the remainder of the stretch. 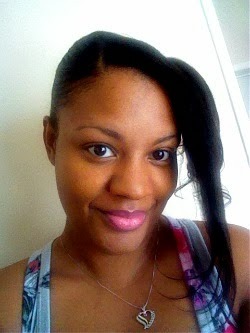 Per my usual relaxer process--I applied the Optimum Care No-Lye Relaxer. Directly after relaxing and rinsing out the relaxer, I applied the Aphogee 2-Minute Reconstructor to replenish some of the protein that was lost in the process. After rinsing out the protein I neutralized, cleansing thoroughly, and conditioned once more with the conditioner that comes with the relaxer. I then rinsed, squeezing out the excess water with a t-shirt. Then I applied a spray of Aphogee Keratin and Green Tea Reconstructurizer as my leave-in conditioner. I moisturized and sealed with my African Pride moisturizer and a bit of grapeseed oil, then just a drop of GVP Silk Remedy before wrapping it and putting it in a scarf + bonnet for the night. I think this was the first time my hair has actually felt full after a relaxer. Usually after I relax, I will air-dry and take my hair down the next morning (with the exception of my spring relax). Instead of combing down limp, lifeless hair, it seemed to have a bit of thickness to it. This NEVER happens after a relaxer. It also felt stronger too, like I had just had a protein treatment. Everything is looking great so far. While I don't think I've had a tremendous amount of growth, others around me notice that my hair has definitely grown. I think I'm finally APL everywhere except in my crown area. I do have a game plan on getting it back on track, though. I'll share more about that in a post next week. In the upcoming months, I will be looking to finally test out these protective and low-manipulation hairstyles. For one, I am tired of wearing a bun. And for two, I need a break from my wigs and weaves for a little while also. I'm either going to try again with the bantu knots or try to perfect the twist-out and braid-out. And if that doesn't work out, I'm getting braids or a sew-in. I will update with pics in whatever choices I make so stay tuned (for real this time lol)!